LEXINGTON, Ky. (Nov. 8, 2012) — Three patents from the University of Kentucky National Institute of Environmental Health Science's Superfund Research Program (SRP) have been licensed by Sepro Membranes, Inc. in Oceanside, Calif. Dibakar Bhattacharyya, University Alumni Professor of Chemical Engineering in the UK College of Engineering, serves as principal investigator on the projects. This package of functional membrane technology patents was developed by Bhattacharyya and his graduate students in the SRP. 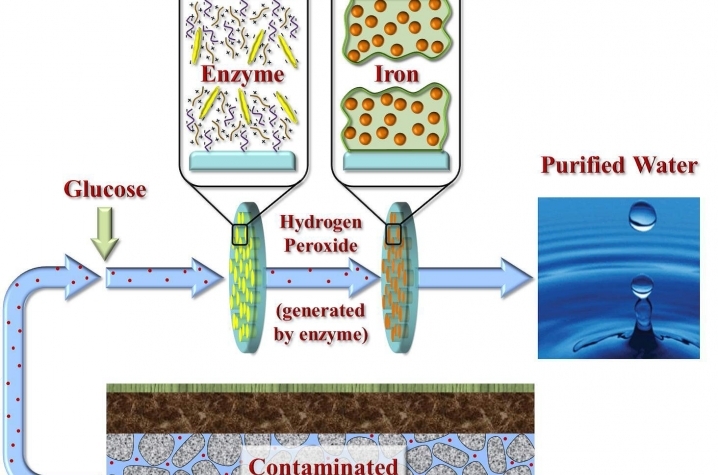 It is a related group of issued and pending patents that, among other things, degrade water-borne contaminants (including toxic organic compounds), sequester heavy metals at very high capacity, synthesize nanoparticles and do green chemistry, all within the membrane pore structure. "The integration of nanotechnology and membrane provides a novel approach for water detoxification technologies through the use of non-toxic nanoparticles and green chemistry approaches'," said Bhattacharyya. "Sepro manufactures large scale systems — their goal will be to integrate our membrane functionalization approaches (through the licensing of 3 new patents and 5 previous patents) for new and untapped water technology markets." Kentucky has more than 200 hazardous waste sites on the active list for control, cleanup or monitoring under the federal Superfund program. The SRP focuses on the health impacts of exposure to different chlorinated organic compounds, such as polychlorinated biphenyls, or PCBs, and trichloroethylene (TCE), both of which are prevalent at Superfund sites in Kentucky and nationwide. PCBs are a class of hazardous chemicals used in coatings for electronics, sealants, adhesives, paint and flame retardants that were banned in the 1970s. However, their toxic compounds continue to linger in groundwater and soil.